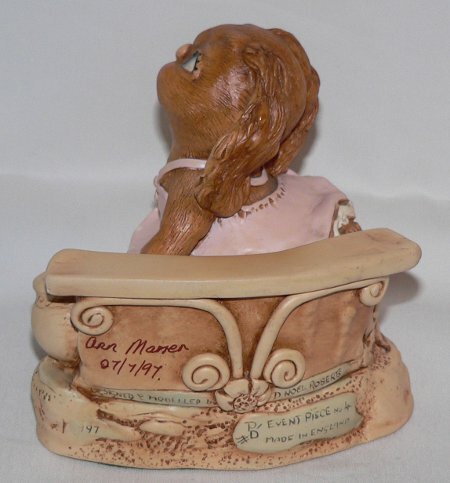 1997 PenDelfin Family Circle event piece called Sylvana. 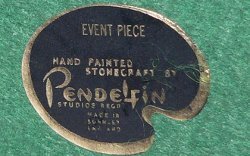 This PenDelfin event piece was designed by Doreen Noel Roberts and was only available at the 1997 PenDelfin events. 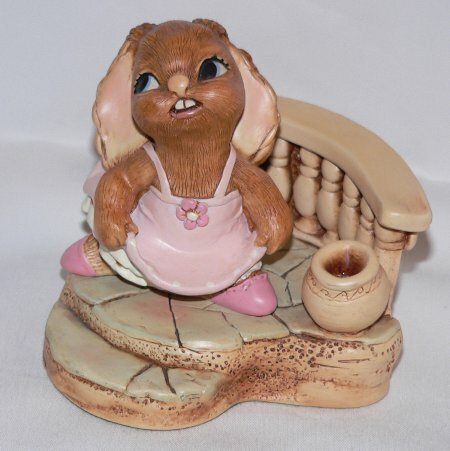 It features a lovely PenDelfin rabbit wearing a pink dress standing on a balcony type stand. This lovely PenDelfin rabbit has been signed at a PenDelfin event by Ann and dated 07/7/97. On her base this PenDelfin rabbit has her green felt and PenDelfin Event Piece name label.